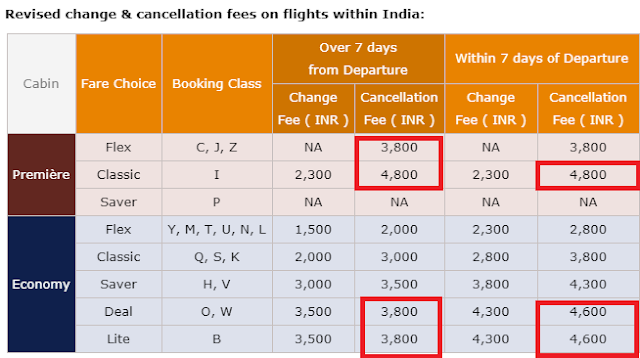 Home / jet airways / news / tips / Jet airways cancellation charge now at Rs 9200 return! Jet airways cancellation charge now at Rs 9200 return! 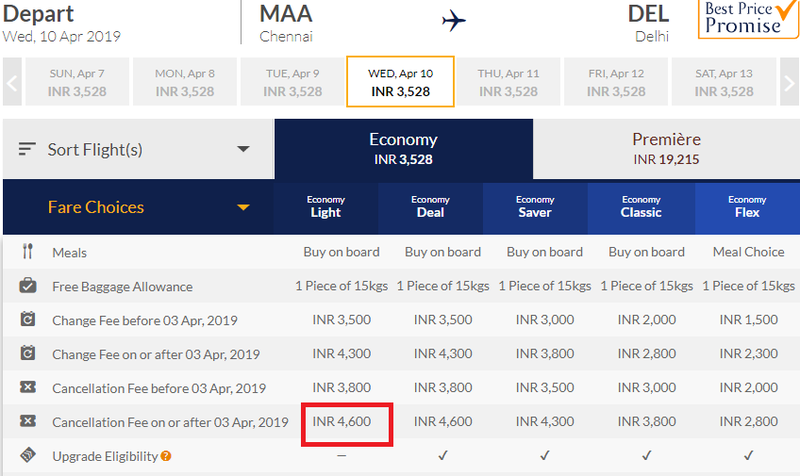 Jet Airways has revised cancellation charges to Rs 4600 one way, or Rs 9200 round trip, if passengers wish to cancel within 7 days of departure and has booked a lite or deal fare. Cancellation charge is Rs 3800 if cancelled more than 7 days prior to departure. This is another attempt by struggling Jet Airways to discourage passengers from traveling or earn more money from not flying a passengers than what they can earn by flying them. The cancellation fee of Rs 4600 one way or Rs 9200 round trip is likely to be more than the ticket cost for most scenarios. Except for one stop connecting flights, most direct flights within India sells for 3-4k or less, if booked few months in advance. If you’re holding a Jet Airways ticket and unable to fly, what to do? If you’ve paid a lot of money (like 7-10k) and don’t want to take a chance, you might wish to go ahead, pay cancellation fee and take refund. But in most cases, it is advisable not to cancel. There is fair possibility that Jet Airways itself will cancel the flight last minute- in which case they are required to give you full refund. If not full cancellation, Jet Airways may reschedule, re route you etc- even for which you can claim new timings/options are not viable for you and take refund. If above two doesn’t happen, you can file for airport tax refund post departure. Airlines are required to refund tax component of the ticket if passenger doesn’t show up. This means you will get a refund of few hundred rupees per ticket. If your ticket value is less than Rs 5000, this is best option. If you'd booked on a 3rd party website like MMT, they would charge their own fee in addition to Airline's cancellation fee. So you will get even less. Cleverly, there’s absolutely no mention of any compensation when Jet Airways cancels the flight. This cancellation policy could be deemed fare if Jet Airways also had a corresponding compensation policy- like if flight is cancelled after passenger reaches airport, Jet should arrange alternate flight and offer compensation and not just give refund. Past few months twitter and FB are full of complaints from people who are informed of their flight cancellation last minute and are stranded. Many had to pay huge amount to buy last minute ticket on other airlines and Jet has no process to reimburse such expenses induced by last minute cancellation of its flights. While they are trying to extract lots of money from passengers, it is only fair they offer similar compensation when passengers are affected by Jet Airways induced flight cancellations. But right now their situation is so bad, you should be lucky to just receive your refund, let alone any compensation. There's no point paying 3x more for flex fares. Even flex fares attract massive refund/date change fees. Of course this means one more reason NOT to book Jet Airways for future travel- their flight schedule is unreliable, cancellations are very likely and airline is finding newer ways to milk customers. I would simply avoid Jet Airways for next few months till they sort out their mess.